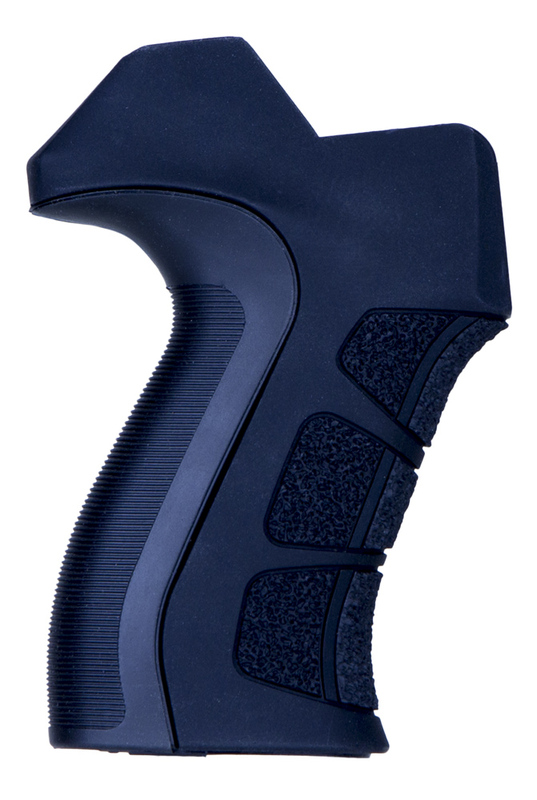 The ATI AR-15 T2 Pistol Grip features a soft rubber material that absorbs recoil and increases the shooter's comfort. Specifically engineered grip dimensions create the optimal distance from the grip to the trigger to fit most hands.The rear tang makes for consistent hand placement and reduces muzzle lift. A finger elevation contour leads finger to trigger and vertical angle of grip allows for improved hand positioning.The grip enables the shooter to keep elbow tight to the body even with body armor or fully collapsed adjustable stock. Fits most AR-15 and AR variants, Ruger 22 Charger Pistol with AR-15 Style Grip, and has a limited lifetime warranty. I purchased these grips to replace the original Navy grip on my Colt M-4. This was an easy install and fits like a glove on the rifle with no modifications required for the safety lever. It is a larger grip but it feels good and fits the hand with no curtailment to trigger squeeze or access to the magazine release. The back strap has a nice soft cushion as well. I am very satisfied with this purchase.